One of the most reputable business magazine in the world Fortune has announced results of the report “FORTUNE 500-2012” of “Turkey's Top 500 Enterprises”. Turkey's TOP 500 companies is announced by the list of "ISO 500- 2012". The Eroglu Giyim's website has the award of being the best one in own category by IMA awards which is one of the most prestigious in competitions. 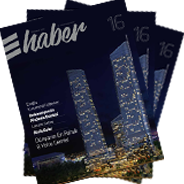 GOLDEN SPİDER WEB SİTE AWARDS: OUR WEB SITE HAS BEEN ELECTED “PUBLIC'S FAVOURITE” BY VOTING.